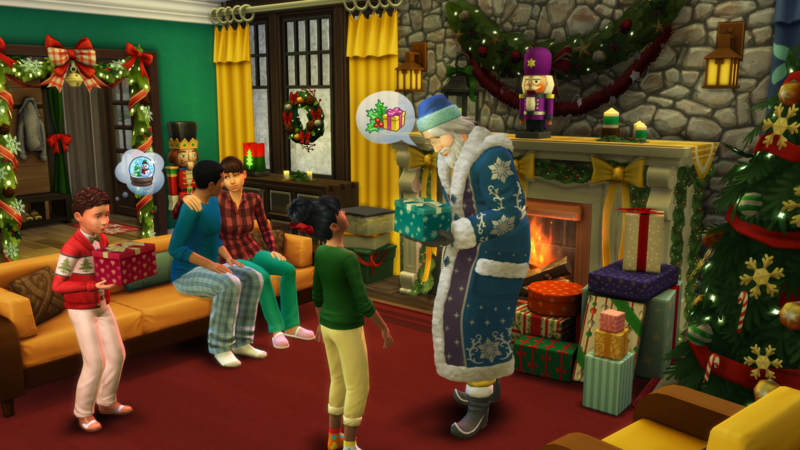 The Sims 4 Seasons is the newest expansion pack for the Sims 4. The Sims 4 came out four years ago back in 2014 and is getting new expansion packs on a yearly basis. Already release expansion packs include Get To Work, Get Together, City Living and Pets. There are also game packs available for The Sims 4. Unfortunately, I didn’t really think much of this expansion pack, and I do think this expansion pack is definitely overpriced. In The Sims 4 seasons, new seasons such as Summer, Winter, Autumn and Spring are added to the game. You would think at this point, basic features like Seasons would have been in the base game. When you first boot up Sims 4 with this new expansion pack, you will be asked to pick a season, and you can start off by choosing between one of the four seasons. Of course, if you’re not happy with the season, you can always change the days each season lasts for in the settings menu. They also added temperatures which is a nice little feature. You can control the temperature with different items in this game. If you’re not careful, your sim can get too cold or too hot. Different clothing can help prevent these things from happening. There are many different holiday events in this new expansion. There is Lovefest, Winterfest, Harvestfest and New Years. Depending on the weather you are also able to build snowmen or have a fun summer outing or a water balloon fight. In my opinion, having Outdoor Retreat made this pack much more interesting. It wouldn’t be Seasons without a Weather Machine. The Sims 4 Seasons comes with a Weather Machine, so you can change the weather whenever you want. We don’t need rain or poor weather destroying good events so the Weather Machine can be extremely helpful. 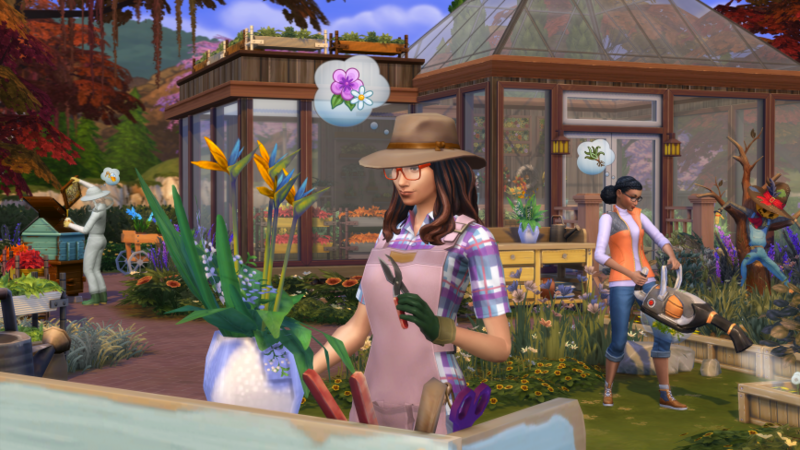 The Sims 4 Seasons also comes with a new gardener career. If you like gardening, then this career will be perfect for your sims. You’re able to send your sims gardening and gain promotions. It works like any other job. Just like every pack, new clothes, shoes and accessories are added. One thing Seasons did add was a new clothing slot. These two new clothing slots allow you to customise and get your Sims ready for Sunny days and Winter days and they added clothes specifically for these new slots as well. I did think this expansion pack was nice but more content definitely could have been added considering the price tag. If you’ve played The Sims 3 Seasons or even the Sims 2 seasons, then you’ll know that this is more of the same. Seasons was always the most anticipated expansion pack when a new numbered Sims game is released, but at one point you have to ask yourself this question “why isn’t this in the base game?”. Seasons is such a basic feature in my opinion, and it’s definitely a feature that should have been in the base game instead of selling it again and again. We’ve been getting a new “Sims Seasons” since 2007. Surely it’s time to add it to the base game? Even if that isn’t possible, I feel like they could have made this expansion pack more ambitious and more satisfying. It’s a problem I’ve had with most of the expansion packs released for the Sims 4. A lot of them don’t feel like they are worth the price tag. They could have added more traits to the Sims 4 Seasons. Why isn’t there a “cold lover” or a “heat lover” trait or “Harvest lover” or Winterfest lover”. Why couldn’t they have added more jobs? Or some more items? More events also could have been added to this Expansion Pack as well. If you’re a big fan of the Sims, then this expansion pack may be okay since it’s more of the same but for someone looking for big, ambitious expansion pack then you’ll be greatly disappointed. The Sims 4 Seasons is overpriced, it’s more of the same, and it isn’t worth it.